Spring is finally here and with that comes new green beauty products. 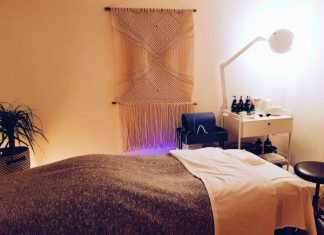 In my quest to ditch my older skincare products that contained some harmful ingredients, I’ve had the opportunity to preview some new beauty products for April 2019. 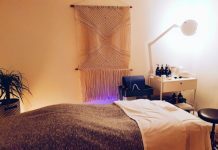 I would like to share some of my favourite new beauty products for spring 2019 with you. I have used other natural shampoos, but some of them don’t lather and as a result, it feels like half of the product remains in your hair. 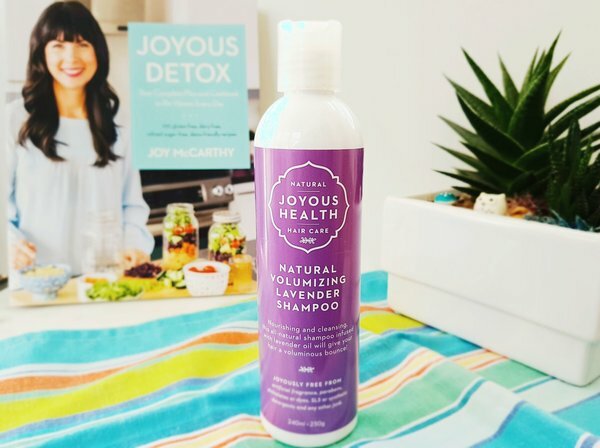 Natural Volumizing Lavender Shampoo from Joyous Health has a natural foam and leaves your hair feeling squeaky clean. The organic lavender extract not only has a lovely, calming scent, but it also prevents your scalp from getting dry. This shampoo contains no parabens, no phthalates, is vegan and gluten free and not tested on animals. Natural Volumizing Lavender Shampoo is $16 for 240 ml and can be purchased online. 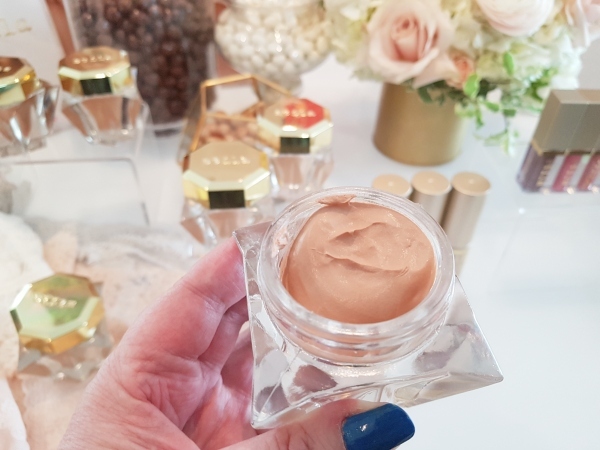 I don’t always use foundations because many of them make my face look cakey, so I was excited to try Stila Lingerie Souffle Skin Perfecting Color. This product isn’t quite a foundation, it is a tinted skin perfector with a gorgeous, whipped texture. In fact, it is made from 70% water and botanicals. Because the texture is lightweight, I wasn’t sure whether it would cover my rosacea. I’m happy to say that it did and evened my skin tone while providing me a very natural look. Stila Lingerie Souffle Skin Perfecting Color comes in eight shades; each shade covers a range of four or five skin tones. What this means is if your face gets tanned, you’ll still be able to use the shade you purchased. The product is contained in a gorgeous octagonal bottle. The shade that matched my skin was Shade 2. Stila Lingerie Souffle Skin Perfecting Color is $49 (30 ml) at beautyBOUTIQUE by Shoppers Drug Mart. 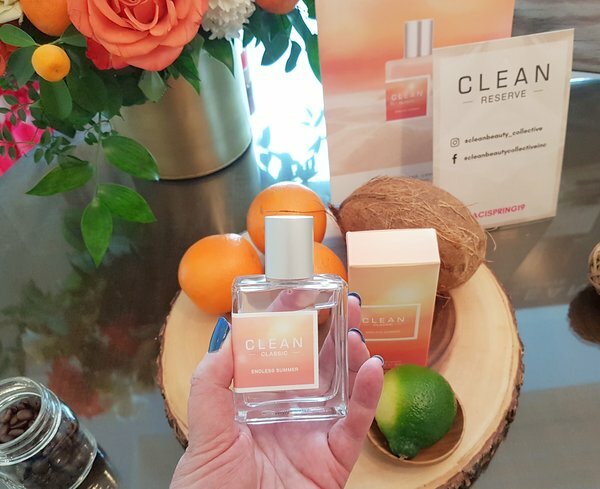 can purchase CLEAN Fragrances at Sephora online. 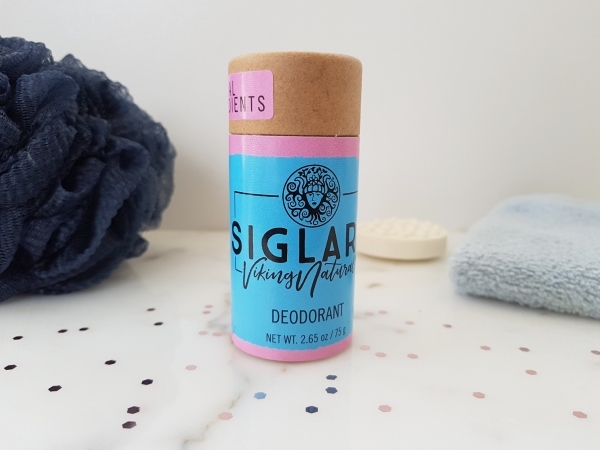 I have stopped wearing traditional deodorants that contain harmful ingredients so I was really eager to try Siglarr Viking Naturals Deodorant. This natural deodorant contains only five ingredients including Extra virgin organic coconut oil, organic arrowroot powder, aluminum-free baking soda, pure ethical beeswax and organic essential oils. This deodorant glides on easily and has a pleasant earthy scent. I also love that this deodorant comes in a biodegradable tube. You can purchase Siglarr Viking Naturals Deodorant, $12.99, online. Okay, this shade from Essie has been out for a few years, but it’s new to me! 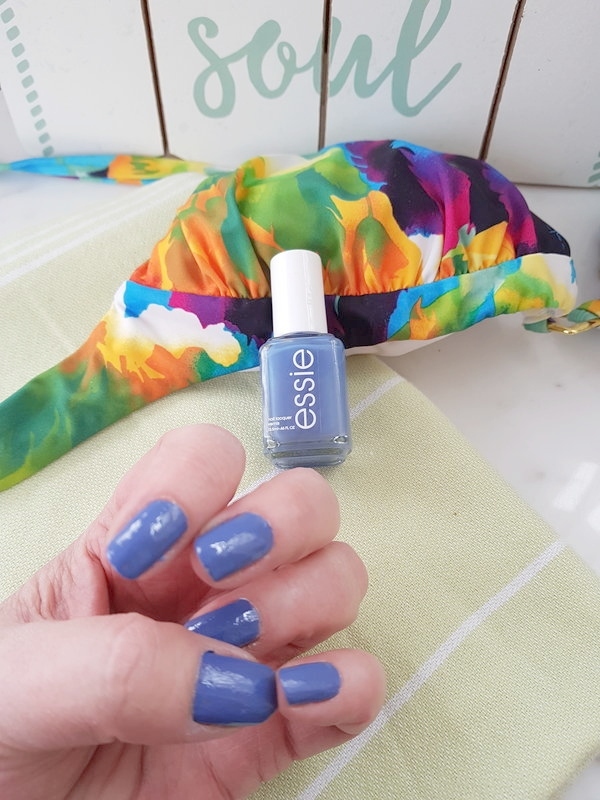 I love Pret-a-Surfer because it is a Periwinkle blue colour that can look blue or violet depending on the light and what you’re wearing. Because I gravitate towards blues in the summer, this creme finish polish will be gracing my nails a lot this summer. 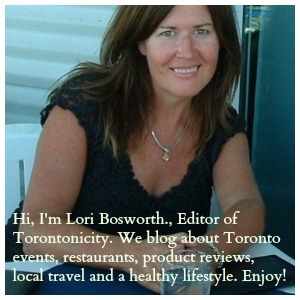 I have heard so many great things about activated charcoal. For instance, did you know that activated charcoal flushes out toxins and chemicals from the body? 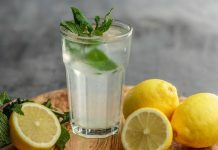 It also changes the pH balance in your mouth and helps prevent cavities. For those reasons, I was eager to try Aim Naturals Premium Teeth Whitening Charcoal Kit. The kit comes with Charcoal Powder, Bamboo Charcoal Toothpaste, four Bamboo toothbrushes and a tongue scraper. The instructions state to mix the charcoal powder with a few drops of water to make a paste. That way, you don’t end up with black gums. They also suggest brushing your teeth in the shower. There is a good reason for this because charcoal is very messy. I tried to contain the mess by wearing a black t-shirt and mixing the powder in a cup. Not surprisingly, the charcoal does make your teeth very black and it gets your sink kind of messy so be prepared to clean up afterwards if you are not brushing your teeth in the shower. After brushing and rinsing several times, I was able to get the black powder off of my teeth. I tried the paste a few times and I have to admit that my teeth looked whiter. If you think the charcoal is too messy for you, you can try the Bamboo Charcoal toothpaste that is included in the kit. I personally noticed more whiteness after using the Charcoal Powder. You can purchase Aim Naturals Premium Teeth Whitening Charcoal Kit, $29.99, online. Don’t you love the pun in the title? When my face is starting to look like that other well-known expression, I love to take 15 minutes out of my day and apply the Flashmasque Soothe Sheet Mask. What a great excuse for a time out! The mask is a real treat since it provides total hydration to my skin and leaves my face looking plumped and feeling refreshed. The mask contains Aloe Vera, Cotton Seed Extract and Sehisandra BerryEach to calm my skin. The kit contains two FlashMasque Soothe Sheet Masks and two Flashpatch Hydrating Lip Gel Patches. 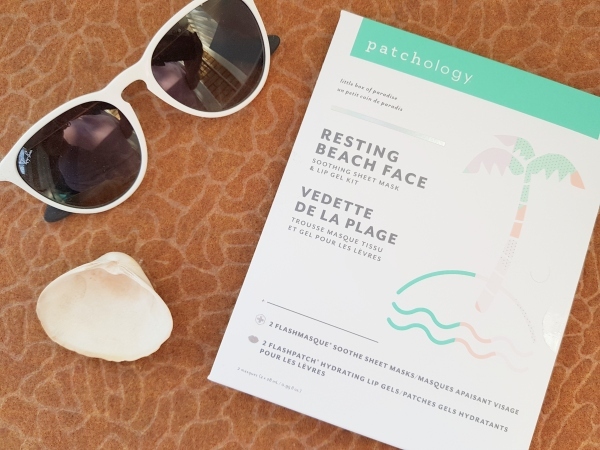 You can purchase Resting Beach Face at beautyBOUTIQUE by Shoppers Drug Mart. Let me know in the comment section if you try any of these beauty products for spring 2019. Getting ready for spring eh? I think they compliment the coming season. 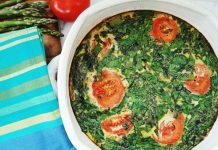 These are all great products to try! I love that there are products with natural ingredients available. Ooh that lavender shampoo sounds great and I could do with a little volume! My hair is terrible at the moment! The ‘Aim Naturals Premium Teeth Whitening Charcoal Kit’ looks promising! 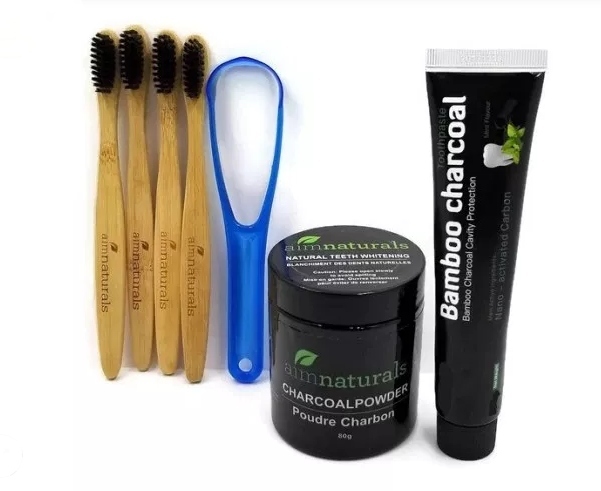 I recently switched to bamboo toothbrush and I am curious with the charcoal kit! 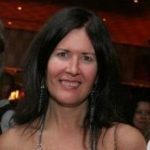 I think I have done a lot of damage to my skin with not so healthy skin products, and at 61, I’m not sure I can reverse a lot of that. I do try now to maintain a consistent skin care routine, using mostly anti-aging Avon products. Oh, by the way, I like the blue/purple nail polish! I love the sound of these products. I will be checking a couple of them out. Nice selection of product. 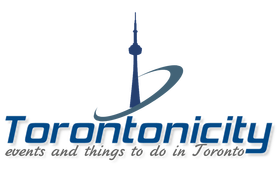 Not a make-up guy your other articles on Toronto are top. All of the products look very interesting. The fragrance CLEAN caught my eye. I’m always looking for new fragrances to try. Nice selection! I love the clean eau de toilette!